A STYLISH HAVEN OF HOSPITALITY Luxembourg is a fi nancial and business powerhouse in a fairy-tale setting, complete with castles and battlements. Standing proud above the city is HOUSE17, a new private members club with a bold signature style. Imagine a club that has all the amenities you expect of a luxurious private members club, with gourmet dining, first-rate service and fine wines – but housed in thoroughly contemporary surroundings, with bold design statements, crisp, clear lines, and furnishings straight out of an interiors magazine. Welcome to House17 in Luxembourg, a comparatively new club situated in a listed building in the old centre and close to the city’s cultural heart. The club opened at the beginning of 2014 in the old Justice du Paix building, which perches up on a hill close to the old fortifications and offers truly magnificent views across the city. Inside, striped black-and-white wallpaper contrasts pleasingly with the rich glow of polished wooden floors; comfortable armchairs positioned for intimate meetings and inviting dining spaces speak of the club’s contemporary spirit. The interiors were created by noted Italian designer Stefano Moreno, who restored the old friezes and original staircases while adding minimalist design touches. The furniture by Tom Dixon anchors the club firmly in the 21st century. As you step through the door, you may also feel a sudden surge of well-being thanks to a bespoke cotton-based scent that was designed specially for the club, and which creates an engaging, soothing feel. “House17 is a business and social club that reflects the changing global way we do business and socialise in the cosmopolitan city of Luxembourg”, says Stéphanie Bröker, the club’s Art and Membership Manager. It has certainly hit a nerve in the city, with membership currently numbering 1,000 residents and non-residents – including, so rumour has it, several members of the royal family. Members are predominantly from the international crowd, bankers, city professionals and creative executives. With its restaurant, two wellstocked bars and a choice of meeting rooms, the club aims to be “a place to think or to work, or ponder next moves with family, colleagues, friends”, says Bröker. There are cosy corners with modern armchairs for quiet conversations, a library, a cigar lounge and a terrace that offers one of the best views across Luxembourg and is the perfect place for a sundowner in the summer or a glass of wine at the oyster bar in the winter. The dining room has all the cachet of a hip eatery. Featuring quirky details and large-format photos, the contemporary luxury of the furnishings is mirrored in gourmet creations that meld classic brasserie-style food with seasonal classics. In a city with more Michelin stars per head than any other country in the world, the House17 restaurant has a reputation as one of the five best places to dine – as well as serving what some describe as the best steak tatar in the city. House17 restaurant seats up to 50 people, serving breakfast, snacks throughout the day, dinner in the evening and offering an extensive wine list. If you happen to have found something that particularly tickles your palate, the club also has a take-away delicatessen service featuring signature platters and a wide range of delicacies made or personally hand-picked by the chef. Throughout the year, House17 organises contemporary art exhibitions by artists from all around the world. An opening “vernissage” is held at the beginning of each exhibition, in the presence of the artist, and there are guided tours for members. Recent shows have included the city’s first exhibition of Australian Aborigine fine art. Other regular events at the club include cigar nights, monthly Wine and Business Club dinners – always sure to attract a celebrity or two, master-classes on a range of topics including health and fitness, drink tastings, and theme nights in collaboration with corporate partners, making for a busy and attractive agenda. The club’s games room is a popular meeting place, with a pool table, games consoles, regular bridge events and DVD screenings. The dress code is “strictly no dress code”; instead, a strictly relaxed look is preferred, in keeping with the club’s casual and youthful image. 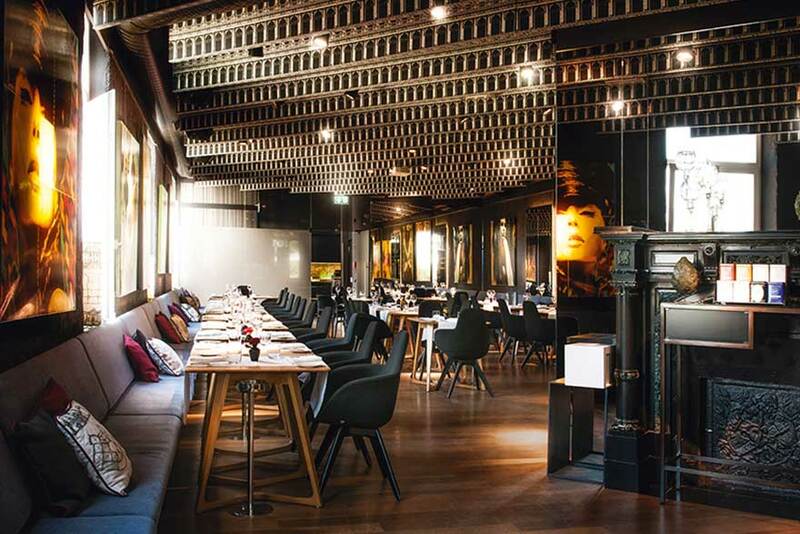 “We want the club to feel like a second home rather than a stiff environment, so we invite our guests to adopt a casual look as well as the more traditional dress code.” House17 has no bedrooms, but it does have an arrangement with the luxurious Hôtel Le Place d’Armes where members enjoy preferential rates. There are reciprocal partnerships with clubs all over the world, including London, the United States, the Antilles – and, of course, Hamburg. 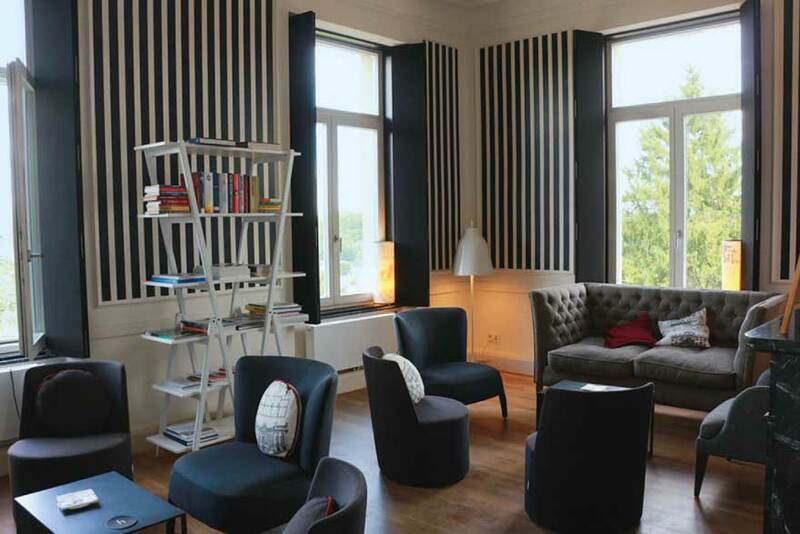 Business Club Hamburg members are welcome to enjoy the amenities of House17 when in Luxembourg – and relax in one of the city’s most stylish havens.